It’s raining weddings in the television industry. 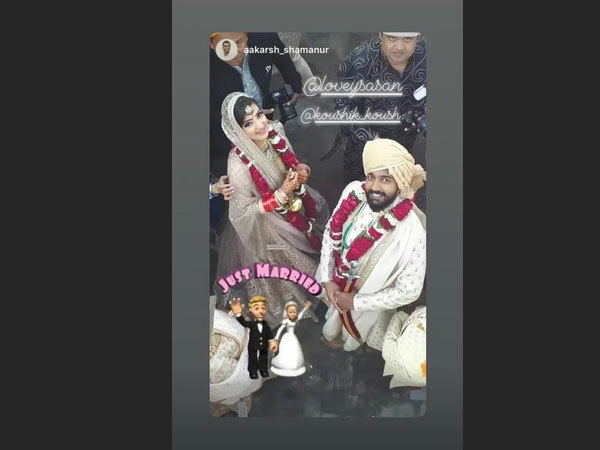 Recently, Ek Duje Ke Vaaste’s Palak Jain, Diya Aur Baati Hum actress Surbhi Tiwari, Baa Bahoo Aur Baby actress Benaf Dadachandji and Nimki Mukhiya actor Abhishek Verma got married. Now, Saath Nibhana Saathiya actress Lovey Sasan has joined the list! 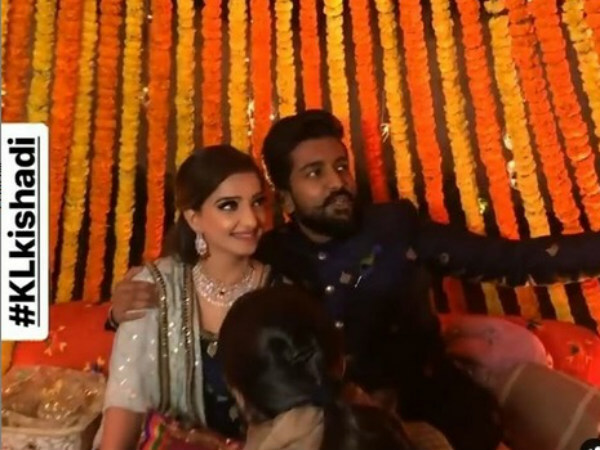 The actress, who got engaged to Bangalore-based businessman, Koushik Krishnamurthi on March 9, 2018 in a grand ceremony, got married yesterday (February 10, 2019). 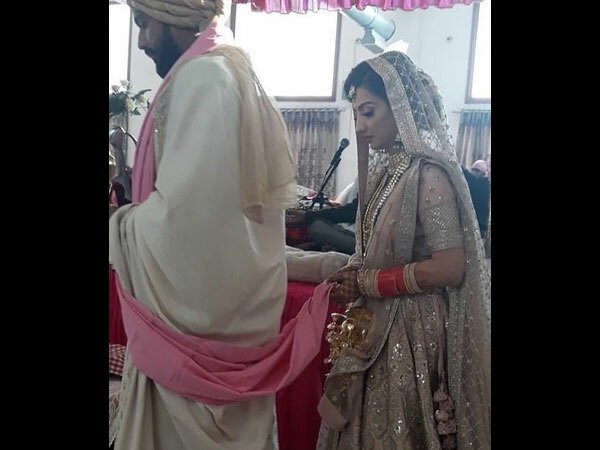 The couple got married in a traditional Punjabi wedding in Amritsar. Check out inside pictures of Lovey and Koushik’s Punjabi wedding! Lovey looked beautiful in a beige-coloured lehenga and emerald and kundan jewellery, while Koushik donned white-cream sherwani and a turban. 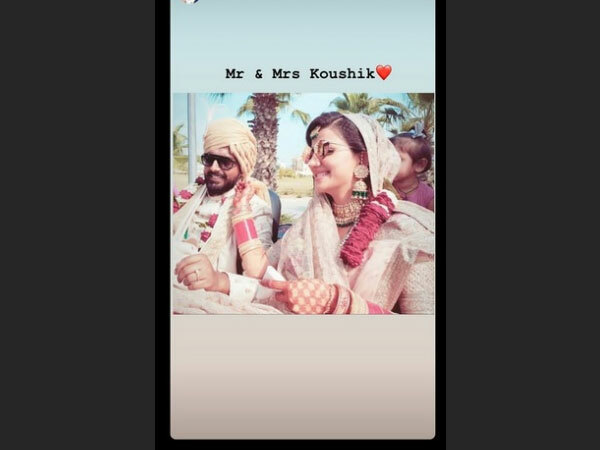 The couple shared a few pictures on their Instagram stories. The mehendi ceremony was held on February 9, the actress was glowing at her mehendi and sangeet ceremonies. The actress’ Saath Nibhana Saathiya co-stars Uppekha Jain and Kajal Pisal graced the ceremonies. The Bride, Groom & Guests Had A Blast! Going by the pictures, we must say that the bride, groom and the friends had a blast at the wedding. 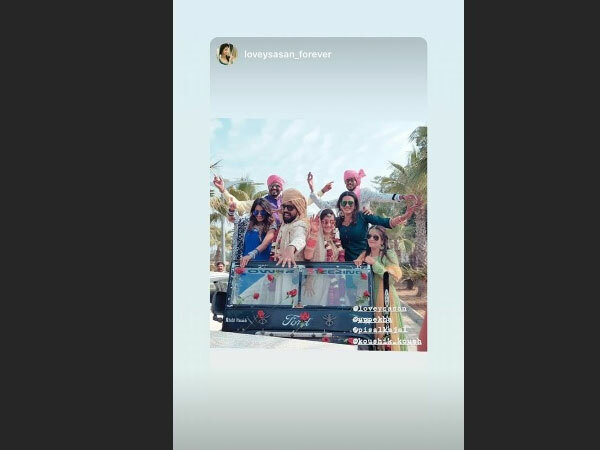 Lovey had earlier revealed that they had planned for destination wedding in Italy, but since her grandparents did not have passport, they decided to change the venue. 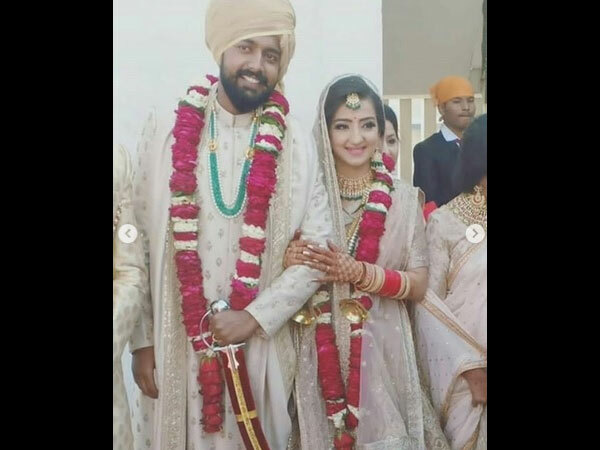 She had also revealed that they will be having two weddings – Punjabi wedding in Amritsar (as her family is from Jammu and wanted a typical Punjabi wedding) and South Indian ceremony in Bangalore. Lovey had said that if she gets settled in Bangalore, she will continue to work in Mumbai. On professional front, Lovey recently did a Punjabi film, Subhedar Joginder Singh. Most Read: Talent Track Awards 2019 Winners List: Nia Sharma, Karan Wahi, Mona Singh & Others Bag Awards!